Firstly, Only international driving permit based on the Geneva Convention on Road Traffic of September 19, 1949 is accepted in Japan. ※Your international driving permit is valid 1 year from the date of issue. Make sure that your car rental date is within your permit’s validity period. Driver’s license issued in Taiwan, Switzerland, Germany, France, Belgium, Monaco, Estonia. 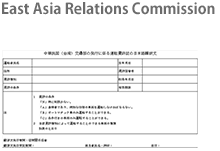 Only translations obtained from the Japan Automobile Federation (JAF) or from the respective countries’ embassies/consulates in Japan are acknowledged as official. Official translation`s expiry date is the same with your local driver’s license, make sure that your car rental date is within the validity period of your license. Please note that regardless of your license validity period, you are only allowed to drive 1 year starting from the date you landed in Japan. ※If there are any changes on the driver’s license. (e.g. address, etc. 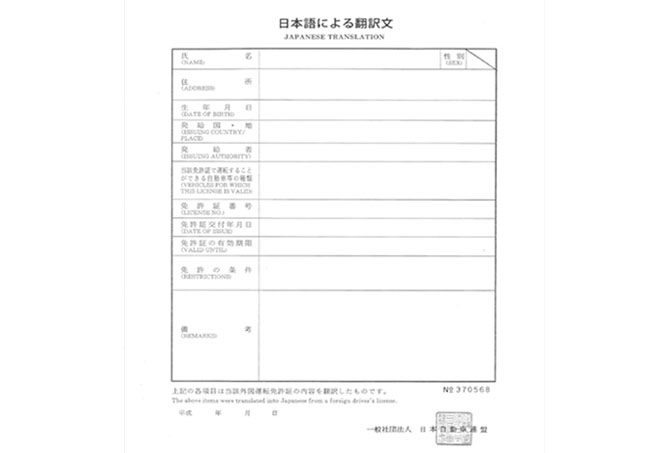 ), please reapply for a new Japanese translation document. 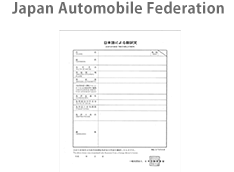 ※For Taiwan driver’s license, only Japanese translation issued by East Asia Relations Commission or Japan Automobile Federation (JAF) are acknowledged. International driving permits that are NOT valid in Japan.・International driving permits based on Vienna Convention (1968), Paris Convention (1926), Washington Convention (1943) and others that come with different format (regardless if it’s issued in a country signatory to the Geneva Convention) are NOT valid.・International driving permits issued by unauthorized agencies or private entities (ex. IDL, IAA, KIDA, IDD, IADA, ITDL, etc. 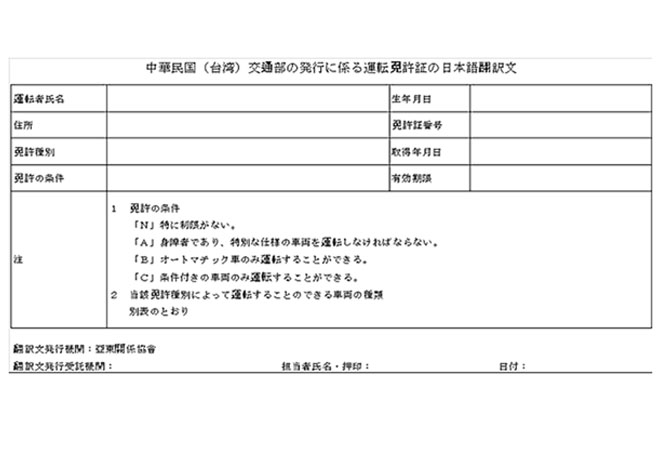 )・International driving permits issued in a country NOT party to the Geneva Convention (even those permits that resembles/ have the same format with permit based on the Geneva convention).・Issuing country of local driver’s license and international driving permit are different regardless if it was issued in a country signatory to the Geneva convention (ex. local driver’s license issued in America and international driving permit issued in Canada). ※ Please be sure to check the credit agreement in advance. ※ Our vehicles are covered by insurance and other compensation with the limit shown on the above. For security of driver(s) and passenger(s), people up to number of seat belts can be seated inside the rental vehicle. Please do not sit on seats which have no seat belts, which may be exist inside in some buses, cargo vans and etc. We only accept credit card. Please be aware that we will separately charge a different penalty fee in advance if you do not return the car without contacting us until the end of contract period. You will incur a charge 25,000 yen at the time if you get a parking ticket. Please be sure to pay the prescribed procedure and penalty fee before returning and submit the receipt upon return. Because we will lend you a car with full tank, please return it with the same condition. If you can not return the car with filling up the tank, you need to pay the conversion fee decided by us. You will be responsible for all the re-paring costs due to fuel type mistake, wrecker trunk costs, operating compensation. Please bring us your receipt of gas when you return the car to make sure the gas type.If you refueled a different type of gas, you would you take responsible to purchase a bottle of Octane Booster, \1,620.